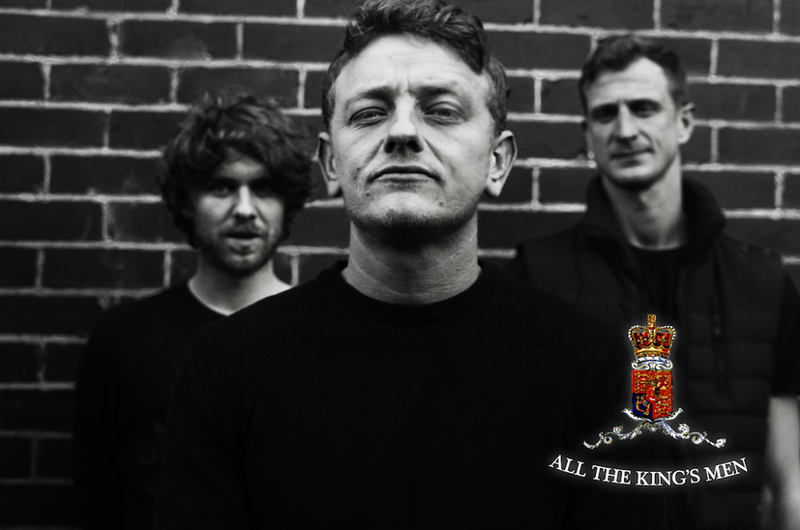 “All The Kings Men” are an alternative rock band from Manchester, whose professional approach makes them a dab hand at incorporating a wide range of musical influences. They are a great, solid band whose signature sound is characterised by strong gravely vocals and robust riffs. With Matthew Holland on vocals/guitar, Tino Caine on bass and Ben Robinson on drums, “All The Kings Men” are a band that are consistently good no matter what musical direction they decide to take. With the rock-blues “Days Gone By”, “All The Kings Men” really showcase the charismatic Joe Cocker-esque vocals of Holland and whose crunchy riffs, runaway piano and rumbling beats cement their musical expertise and rich sound. It’s an impassioned catharsis, whose raucous vocal interludes prove what a fantastic singer Holland really is. Through its wavering vocals, undertow of trumpets and Spanish-esque strumming, “Days Gone By” simultaneously staggers and builds to a Beatle-esque crescendo, whilst pouring its heart out through the rugged wails of “Now she’s gone, yeah baby’s gone”. It’s a brilliant song, the kind of song you can imagine listening to at a live blues festival, having a few alcoholic beverages and soaking up the atmosphere. Again with “Someday”, you hear the “All The Kings Men’s” polished production and Holland’s knack at commanding centre stage. It’s a great song, whose neo-psychedelic riffs curl and curve against the subtle piano and crunchy riffs, conjuring up images of hazy, halcyon summer days. It’s a sun-kissed song, who poetic lyrics are drenched in romantic sentimentalism, playing host to gems such as: “Whilst the waves just play where she lays…feel the waters crash and time is precious here today”. Along with its scribble riffs and solo guitar interval, “Someday” preens with an understated cool that defines great indie music of today. Having recently supported Northside at The Manchester Academy in May, “All The Kings Men”s popularity is going from strength to strength and whose stunning live performance make them a band really worth checking out.